Water purification to satisfy our daily safe drinking water needs is an issue in everyday life. Unfortunately, most of us tend to take it for granted until the worst happens. Ideally, you have an available store of clean water on hand when a disaster occurs. However, what happens when the emergency lasts longer than you planned for and your water runs out? If you don’t have a plan to find and know how to purify water, you could be in trouble. 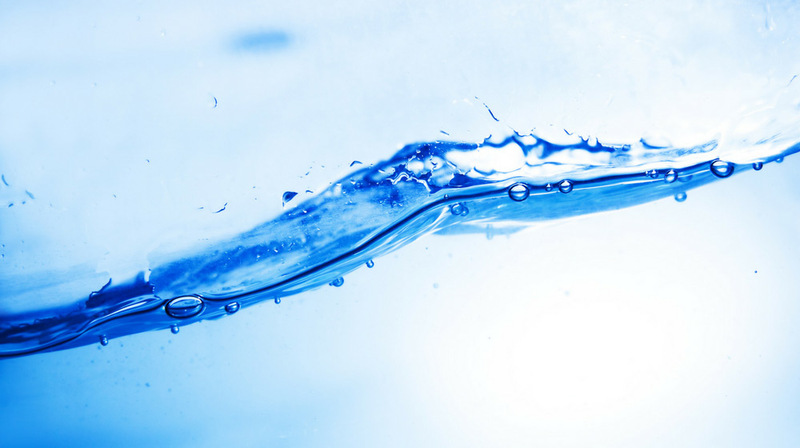 Here is a rundown of the details surrounding how to purify water. This review includes what the purpose is, why it's necessary, and the five best ways to make your water drinkable in the event of a disaster. Why Do We Need to Purify Water? Bacteria - E. coli, Legionella, Shigella, Campylobacter, Salmonella, etc. issues, if severe enough, can lead to extreme dehydration. Dehydration when you already lack a readily available source of drinking water can lead to severe problems including death. This is why pure, clean, potable water is crucial to survival. When we discuss different purification methods, it's important to understand the effectiveness of each one in killing PPBV’s. When you understand each options effectiveness, you will be better prepared should you need to purify water. Next to bottled water, distilled water is regarded to be the safest to drink. The process of distillation involves heating water to its boiling point (212-degrees Fahrenheit) for at least one minute. Then heating it to the point where the liquid water turns to gas and passes through a tube, where it is cooled back to a liquid. Because PPBV’s don't evaporate with water, the process of changing water into gas, then again into water in another chamber leaves any possible contaminants behind. Distilling water is considered to all but eliminates possible impurities, including PPBV’s. While it is an excellent option for water purification, the equipment needed to distill water isn't practical or efficient in many disaster situations. Therefore, they may not be a reliable source of water purification if you are without power, or if the situation forces you to leave your home. However, if you do have electrical power and are not forced to leave your home, distilling equipment may provide you with a solution to your water needs. As long as you can find sources of water, you should be able to purify it and keep the water flowing. Here are some of the most reviewed water distillers on Amazon. If you have a heat source but no way to distill your water, boiling is the next best option. The CDC states that bringing water to a rolling boil for at least one minute will kill most PPBV’s and can be done without electricity, which makes it a more reliable way to purify water. Additionally, you’ll be set if you have a dependable cook kit with the ability to boil water. If you do and choose to use boiling as your water purification option, you won’t have to use the space in your pack with additional gear. If you don't have distilling equipment or a heat source, there are still ways to purify water so that it's safe to drink. One of the most common ways is by adding a portable water filter to your kit. While filters may operate differently, the theory behind them is the same. Simply put, you run water into the filter where it passes through a ceramic or carbon element, similar to a standard Brita filter you may have at home. Once the water exits the filter, it can be stored and used as needed. According to the CDC, water filtration has varied effectiveness as a water purification method. For example, while filtration is highly effective in killing protozoa and parasites, it is only moderately effective in killing bacteria and not useful in eliminating viruses. Regardless, filtering water is a better option than drinking straight from a contaminated water source. Here are some portable water filters on Amazon that have better reviews. Iodine or Chlorine: Hikers often carry iodine tablets on long trips in case their water supply doesn't last and are suitable for emergencies in your survival pack. Chlorine bleach (household bleach) also works in a pinch. Here is the EPA's guidance about how much bleach is optimal to disinfect water. Chlorine Dioxide: Many people favor chlorine dioxide as an option to purify water in place of iodine tablets. Unfortunately, it leaves a bad taste in the treated water. However, you can mask bad taste of chlorine dioxide with drink mixes such as Crystal Light, making it an option worth considering. The CDC claims that the chemical treatment methods of disinfecting water have varying rates of effectiveness. For example, disinfecting with iodine or chlorine is not effective in killing either protozoa or parasites. However, it is highly effective in killing bacteria and viruses. On the other hand, chlorine dioxide treatment is low to moderately effective in killing Cryptosporidium. Fortunately, though, it is highly effective in killing other protozoa, bacteria, and viruses. More specifically, it can kill viruses, bacteria, and Giardia in about 30 minutes, with a recommendation to wait four hours before drinking the treated water to eliminate Cryptosporidium. In an emergency, you can pasteurize water to make it safer (but not entirely safe) to consume. This is a process commonly seen with beverages like dairy milk and juices. As opposed to boiling, pasteurization heats these liquids to 160-degrees F (over 50 degrees lower than boiling). This method, heating water to 160-degrees F for six minutes, may significantly lower the risk of water-borne illness without requiring much equipment and potentially no fuel. This is because pasteurizing happens at a temperature low enough to allow the use of sunlight as an energy source. There are solar pasteurization setups available online that can be a handy option when nothing else is available. As preppers, we believe in always being as prepared as possible for anything. So, knowing how to purify water using one or more of these methods should be a preparedness priority. At their worst, any of these options are better than drinking untreated water. However, to put the odds in your favor, if distillation or boiling isn't an option, mixing chemical treatment with manual filtration is better than only using one method or the other. In the end, the bottom line is to do your best to make sure you and your family are as safe as possible. Doing your best includes planning for safe drinking water. If you have any other thoughts or questions about how to purify water, please leave a comment below. Mind4Survival: How Much Water Should You Drink a Day?